Climatewise, less exposed to the wind, this coast is little affected by the rain and the temperatures there are among the warmest throughout year. There is a strong concentration of hotels, especially between Grand Baie and Pereybere. 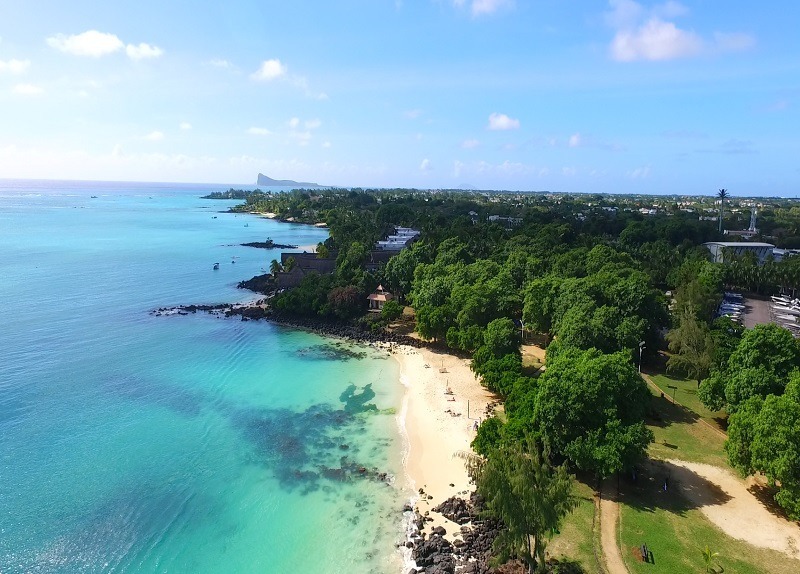 For swimming, the long beaches of Mont Choisy and Trou aux Biches are perfect illustrations of the concept “turquoise water, white sand and coconut” as it is abundantly relayed on the postcards of Mauritius. On the other hand, the beaches of the extreme north, like that of Grand Gaube or Cap Malheureux, are less practicable because they are smaller but have stunning views to compensate. Midway between these two extremes, Pereybere always attracts crowds on weekends. The North remains the tourist destination par excellence! If you favor tranquility and serenity when at the beach, then La Cuvette is definitely a winner! 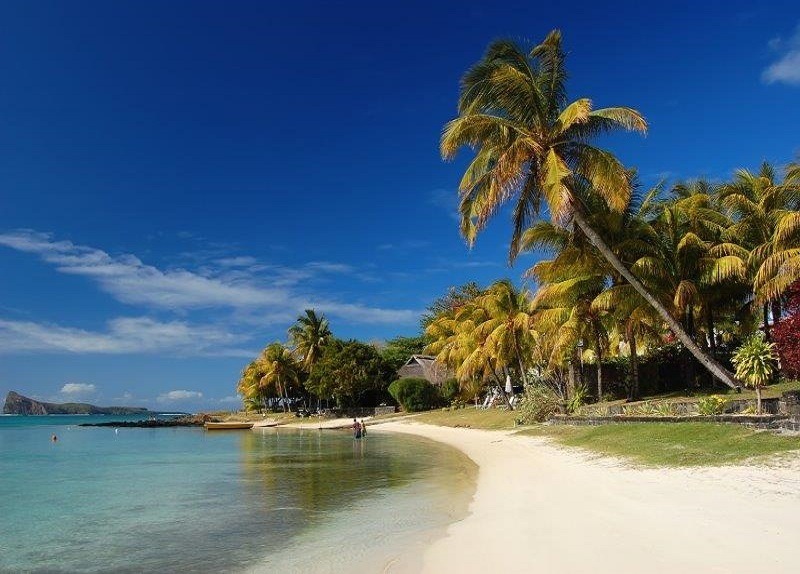 It is a small beach of a few meters but with a big name and high ranking among Mauritius best beaches. La Cuvette is the perfect photogenic beach with turquoise lagoon (manageable and enjoyable depth) along with soft golden sand expanding through a mere 80 meters. 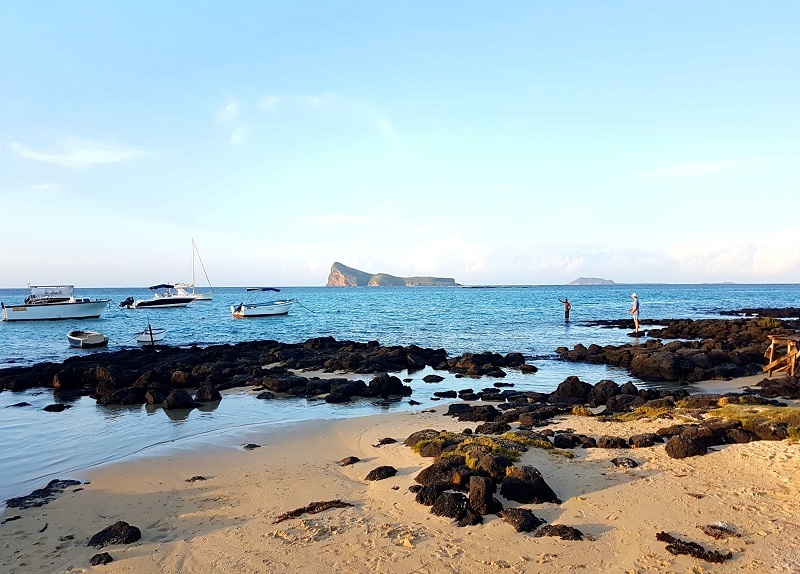 High seasons attract local hawkers and food trucks within the parking area but another option is to head over to Grand Baie after your swim so you can fill in your stomach to explore more of Mauritius! Throughout the recent years, La Cuvette has gained much popularity among visitors and guests from nearby hotels as well. Never leave your hotel room without your swimming attires when in the North! Do not hesitate to publish that postcard-perfect picture of La Cuvette on your social media feed, guaranteed jealousy and envy among your group of friends! Baie aux Tortues, which translates to ‘Turtle Bay’ was named by 17th century sailors because of the abundance of turtles in the area. 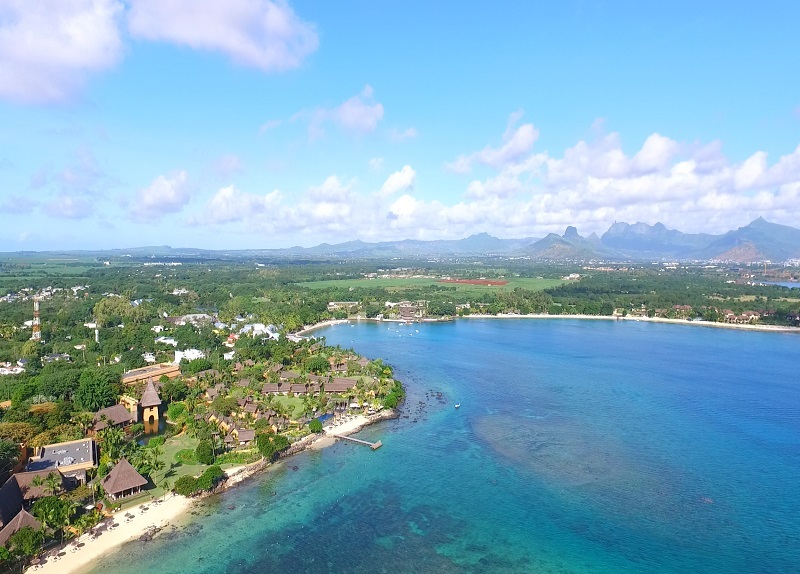 The lush greenery, white sand beaches and crystal clear water is the reason why many luxury resorts (some of Mauritius best hotels) chose Baie aux Tortues as their preferred location. If you are planning a weekend getaway with your loved ones, Baie aux Tortues should be right on top of your list. On a sunny day, you’ll know why Mauritius is known as the paradise island when you are at Baie aux Tortues. This bay is one of the most fascinating places for divers and snorkelers in Mauritius. The fine white sand and the clean picnic areas round off the picture of a tropicidylle. And despite its beauty, the Baie aux Tortues is peaceful and unspoilt away from every hustle and bustle – ideal for those who want to relax and enjoy the beautiful nature. The water in the Baie aux Tortues is warm and crystal clear. The coral reef is very close to the coast and is therefore easy to reach. In addition, the coral reef in the Baie aux Tortues is as intact as nowhere else in Mauritius, so the underwater world presents itself particularly colorful and varied. Due to the high number of species, the Baie aux Tortues was declared a Marine National Park in the 1990s. This bay is one of the most fascinating places for divers and snorkelers in Mauritius. The closest place to Baie aux Tortues is the sleepy village of Balaclava. The accommodations are extremely limited, as the Baie aux Tortues and Balaclava are only a few, very exquisite hotels. Thus, very few holidaymakers refer directly to the Baie aux Tortues. The Baie aux Tortues is an attractive destination for day trips and attracts nature lovers who want to relax undisturbed in a picturesque environment or to enjoy a special diving or snorkeling experience. So, what are you waiting for? Go Explore Mauritius and Baie aux Tortues! Get your adventure suits on and go snorkeling to witness the life of larger-than-life turtles. Wake up in time for the sunrise at Baie aux Tortues and you won’t regret a second of it. A real tropical haven for you to work on some tan lines, or you know just chill to the sound of wavelets on the beach for the most relaxing time! We bet you won’t have to think too hard to guess where the name originates from. It obviously took a little bit of traits from both cousins; so Pointe (from Pointe aux Piments) and Biches (from Trou aux Biches). It is that simple to name a beach! Also, as of now, you might know that Mauritius beaches don’t do average! We think that Pointe aux Biches was front of the queue when the beach gods were passing out idyllic places to lounge. If it happens that you tire of the sugary sands and bathtub-warm water there, you always have the option to head to lively Grand Baie for some fun in the sun – there, get your way through several restaurants, bars and shops. 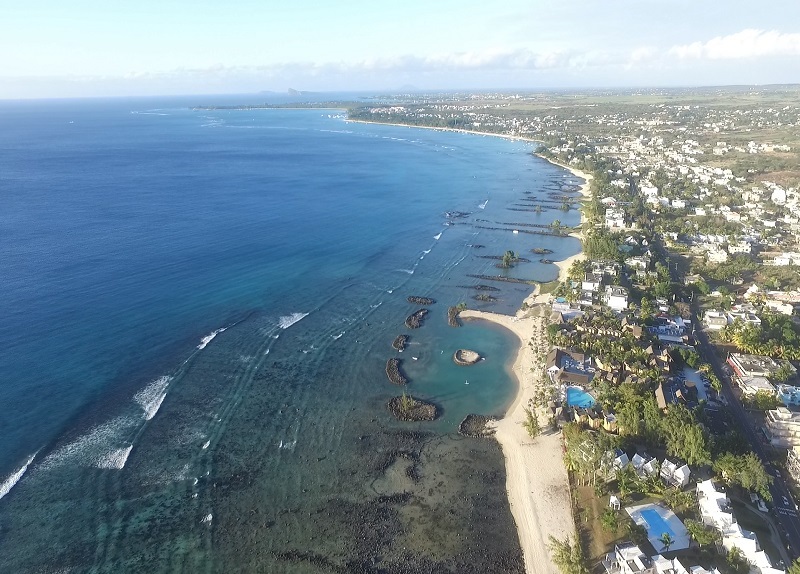 Thinking to explore Mauritius but wondering what the best thing about Pointe aux Biches is? The space! In fact not many people visit it except nearby hotel guests. No more worries about beach-mat overlapping with strangers! With beautiful coral reef surrounded by a colossal mountain range, Pointe aux Piments is home to some of the best hotels in Mauritius. At the northern tip of Pointe aux Piments, you will find Mont Choisy, a location where submarine tours take thrill-seekers below the ocean to examine the mystical marine life. The coral reef at Pointe aux Piments is very close to the coast and is easily accessible. This makes Pointe aux Piments ideal for holidaymakers who want to admire the fascinating coral formations while diving and snorkeling. There is also an aquarium, which gives a good impression of the underwater world around Mauritius. 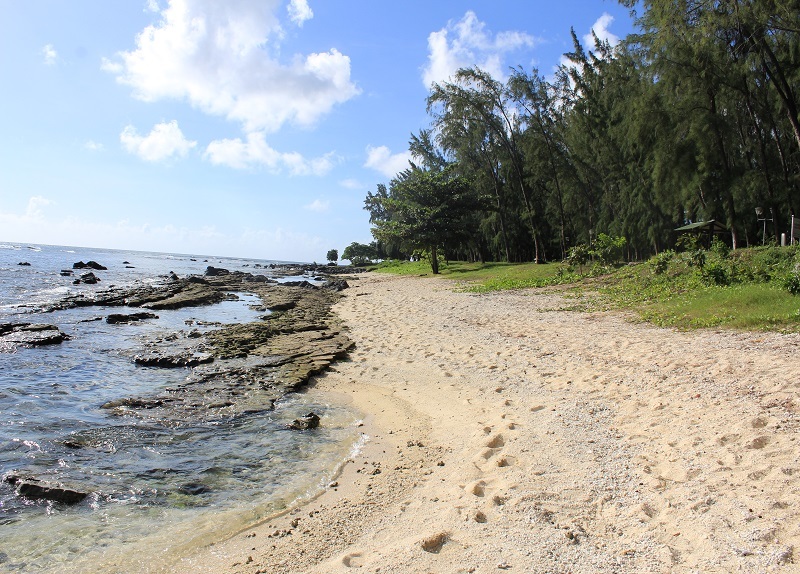 In addition to the diving organized by the hotel, there are no leisure activities on the beach at Pointe aux Piments. There’s plenty to do in the area so wake up early, enjoy the road trip and have a memorable experience. Explore Mauritius Aquarium while you are in Pointe aux Piments, it surely won’t disappoint. The public beach of Le Goulet deserves a glance! Located just opposite the village of Baie du Tombeau, on the other side of the mouth of the River Tombeau, this beach is really beautiful. The sand is white and fine, typically postcard beaches that attract tourists every year. All along the beach, and especially on the river side, large trees provide a refreshing shade. A kind of concrete bridge crosses the river, but oddly, it stops before the beach. You will have to walk in the water to get there. The bath is reputed to be quite dangerous, especially where the river flows into the sea. So it is advisable to be careful. The Beach of Le Goulet is quite well visited also for its segregated location and tranquility. 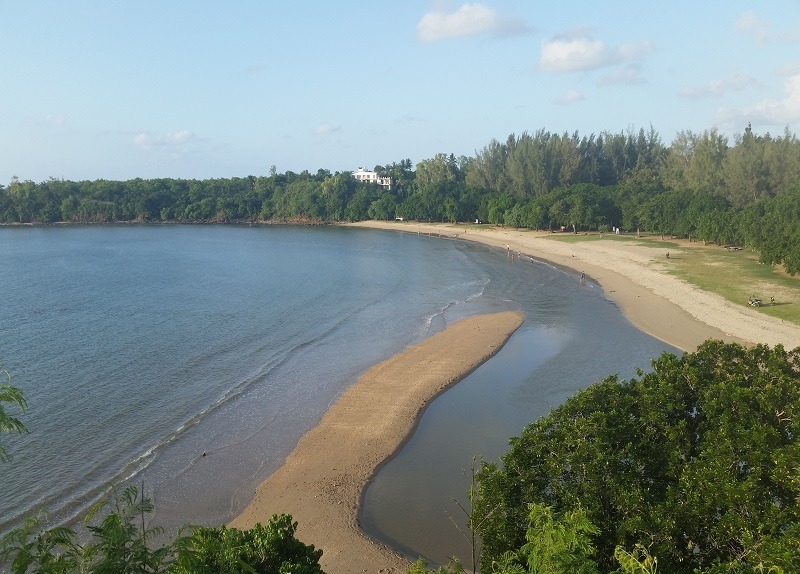 Surrounded by lots of greenries as well as a nice sandy beach, the place is much emphasized by fishermen and local hobbyist with their fishing rods on the nearly rocks on the other side of the river estuary. Here’s when you’ll have to free up some memory on your phone so you can just click away to no end. Instagrammers rejoice, you’re about to be spoilt with a million dollar view. Almost too good to be true! Like the middle child of the “North Coast Best Beaches” family, Bain Boeuf beach sits comfortably between its siblings – Pereybère and Cap Malheureux, who tend to earn more bragging rights among tourists. However, Bain Boeuf is worth all the attention as its mesmerizing view of Coin de Mire (Gunner’s Quoin offshore islet) is ideal for a laid-back day with your loved ones. If you enjoy beaches where serenity and tranquility prevail, Bain Boeuf is the perfect spot to escape from the other busy public beaches nearby. There is not much happening at Bain Boeuf beach, but sometimes that’s all you need to sit back with a good book and work on those tan lines! Your packing list for Bain Boeuf should include sunscreen, tanning lotion and camera. Don’t expect the waters to be deep in Bain Boeuf. Perfect to show-off your latest bikini! You might want to consider visiting the other public beaches before Bain Boeuf to truly understand why it holds a special place in the heart of Mauritians! Golden Hours are the most Instagram-worthy shots as local fishermen depart to or come back from their daily boat expeditions. 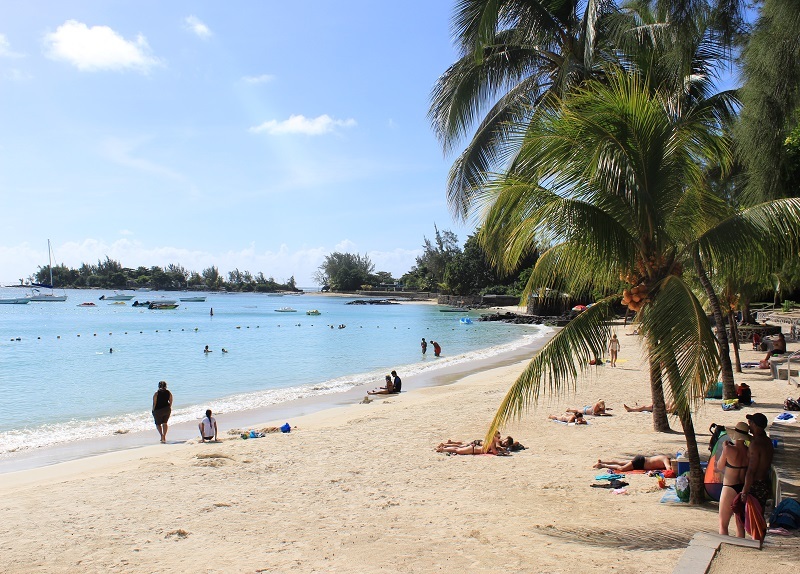 Choisy is one of Mauritius best beaches and you should totally consider it when figuring out what to do in Mauritius; especially during week days (this is when the beach is less crowded). 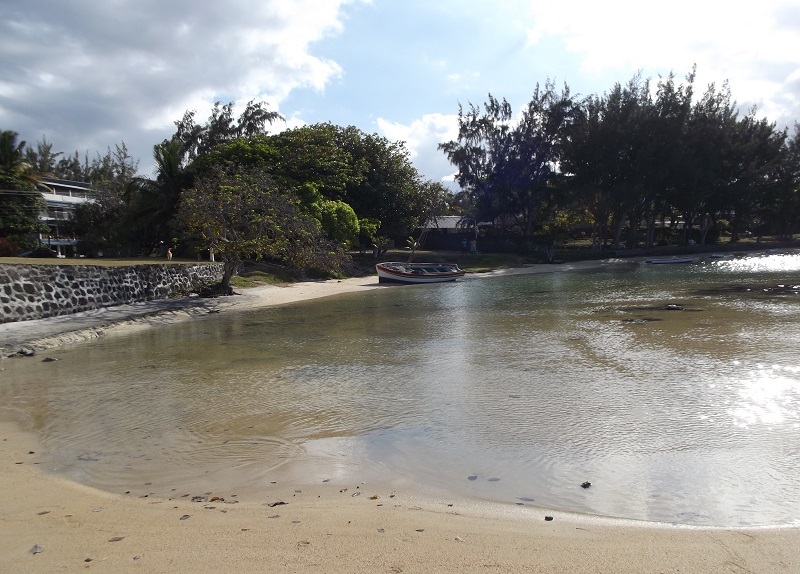 However, if you fancy some interaction with locals, we recommend you to visit Mont Choisy beach during the weekend when Mauritians spend time among friends and relatives. It can get pretty amazing and exciting for visitors as the day often ends with typical Mauritian Sega music accompanied by other instruments. It’s a remarkable occasion to connect with the island’s multi-culturalism and glaze at how magical this pot-pourri is. The beach also features a football field where locals spend time on evenings and weekends. 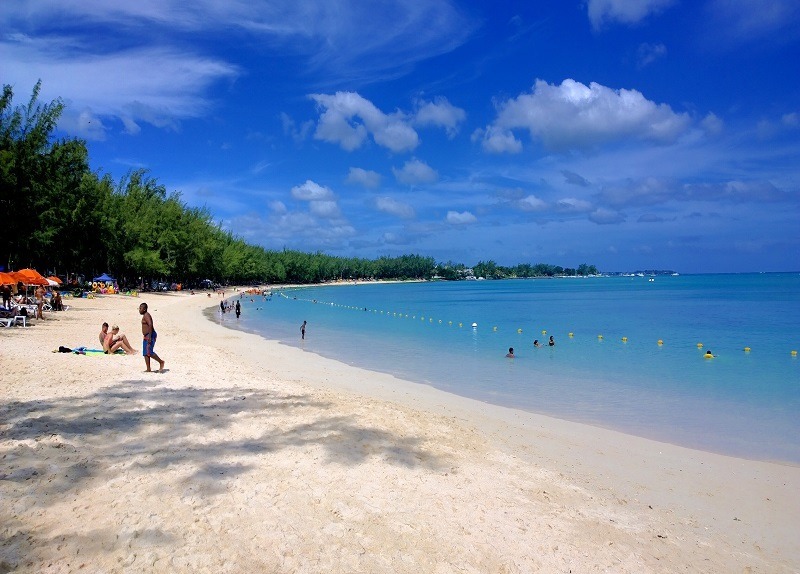 Beautiful turquoise water and shady areas (thanks to the Casuarina trees) are what we can assure you at Mont Choisy. Join locals playing some football; believe us they are more than happy when foreigners want to join along for a game! Give a go to some of the water activities available there; satisfy your adrenaline rush! Cap Malheureux owes its name to all the shipwrecks that took place on its shores. It was also here that the English, in 1810, landed to take possession of the island. But now it’s known for its red-roofed church! Postcard decor, breathtaking views of the Gunner’s Corner and the North Islands. Hosting many weddings throughout the year, or couple just coming for a photo shoot to immortalize their union, this place is well appreciated. The small beach in front is home to street vendors to buy fruit, local produce and pareos, or fishermens. Can’t decide whether you want family-friendly or white sand beaches with various food options? Well, you don’t have to at this postcard-worthy stretch of beach. The pristine shore’s beauty is only matched by the bright blue waters, which are prime for swimming and snorkeling, icing-sugar sand and of course a set of open-air food joints… voila! Job done! Paradise found! Indeed, if asked to design and illustrate your perception of a perfect beach, Pereybere is probably what you would come up with. Due to its remarkable convenience and beauty but not only- it is also ideal for kids and inexperienced swimmers, the beach gets quite crowded during weekends. However, if you totally do not mind that, the place is worth a visit while you explore Mauritius. It’s a good place to taste out some exotic and tropical fruits that Mauritius has to offer. Try out local homemade ice-cream too. We scream for ice-cream, don’t you? Mauritius is home to some of the best beaches in the region. Located in the North of Mauritius, Trou aux Biches is simply, paradise. The white sand, crystal clear azure water and stretch of coconut trees make it a photographer’s paradise for postcard-like sceneries. Whether you choose to work on your tan or get sporty, Trou aux Biches is perfect. With a wide range of water sport activities such as scuba diving and windsurfing, you are sure to satisfy the thrill-seeker in you. However if you choose to simply read a good book on a sunbed and take a dip in the beautiful blue waters, Trou aux Biches welcomes you to do so. In short, Trou aux Biches is heaven on earth. You’ll know why we say so after you’ve been there. Spend the entire day at Trou aux Biches. There are plenty of restaurants, ice cream merchants to fill your stomach when you get hungry. Enjoy some of the water sports Trou aux Biches has to offer – Pedalo, Windsurfing, Catamaran, Parasailing, Scuba Diving, Deep sea fishing, Jet Skiing. Don’t forget that tanning lotion, it’s a necessity wherever you go! Best time to visit is at magic hour; sunrise or sunset.